Volant Cold Air Intake 2005-2008 Toyota 4 Runner 4.75SimonApril 30, 2010The intake got here in 3 days and was just like the picture. It was very easy to put in and only took me about 40 minutes to do. The truck is a little bit louder when I push the gas hard, but not too loud where it sounds bad or anything. It just sounds like maybe I have a V8 instead of a V6. I got a small MPG improvement. 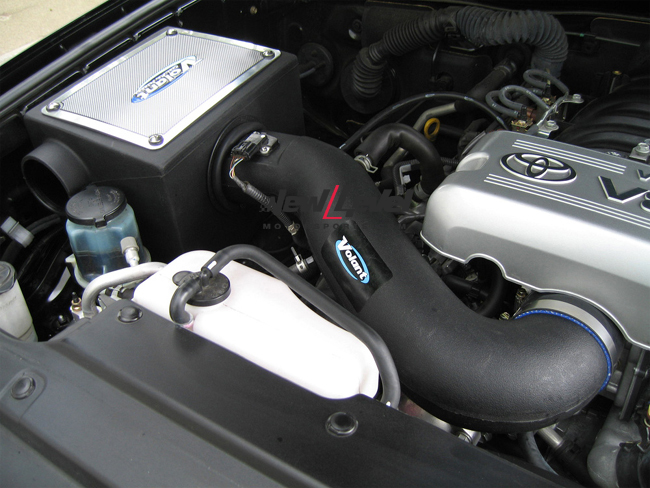 The part number for this Volant Intake is 18747 and it fits 2005-2007 Toyota 4 Runner 4.7 models.